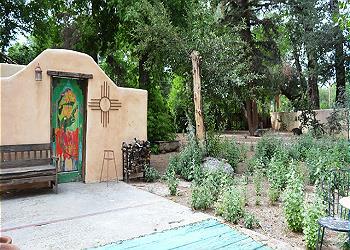 Short walk from Taos Plaza. 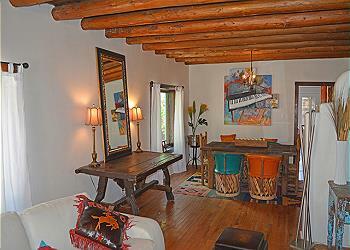 2 master bedroom - 3 bath home with hot tub. 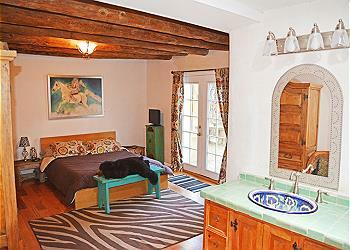 A substantial adobe wall surrounds Agave Azul’z huge yard and affords country privacy in the heart of the town of Taos. 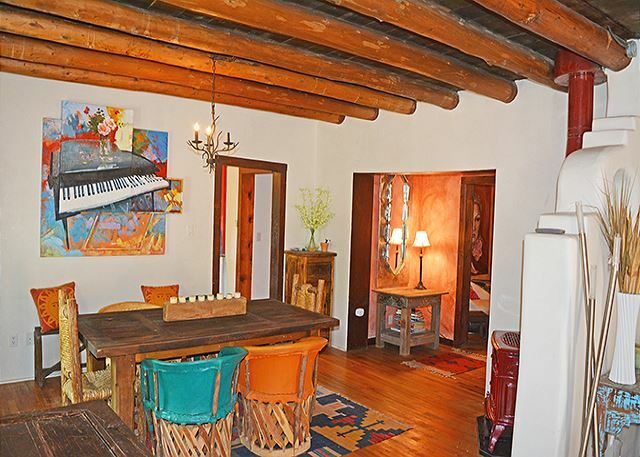 Experience the “historic original” Taos Charm in a circa 1920’s adobe home, conveniently located a short walk from the Taos Plaza. 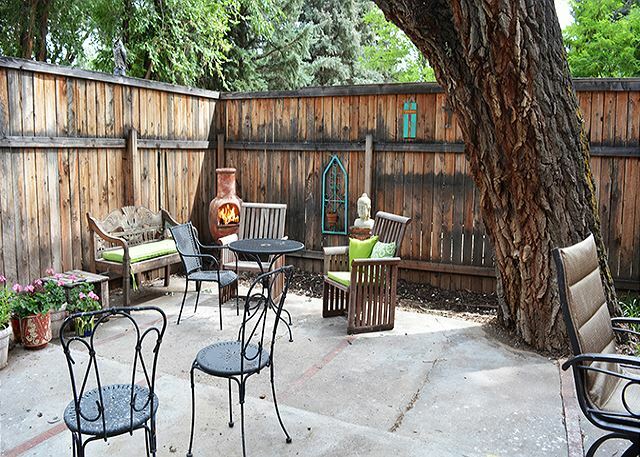 One half mile to town, this two bedroom, three bathroom home is nestled under tall shady cottonwood trees. Almost directly across the road is the very popular El Monte Sagrado Resort and Spa which welcomes locals and out of town visitiors to the Pub for live music, pub dining and fine dining in the elegant dining room. 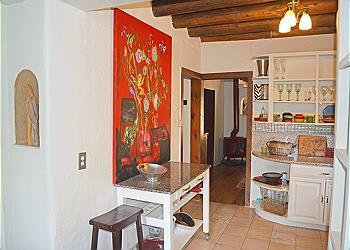 A substantial adobe wall surrounds Agave Azul’z huge yard and affords country privacy in the heart of the town of Taos. 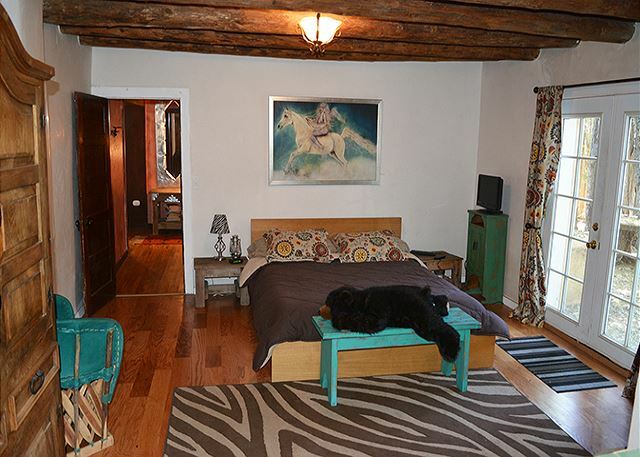 The house has “Two master suites”, each with a queen bed and en suite bathroom and each with walk in showers. In addition, there is a 3rd full bathroom near the kitchen. 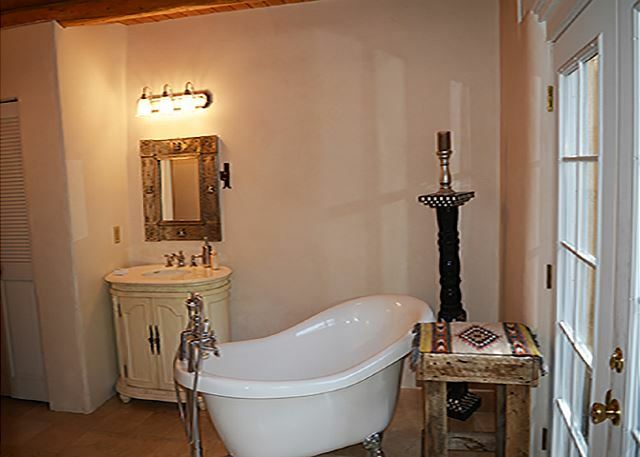 One of the bedrooms has a separate tub with a walk inshower and one of them has a shower only. 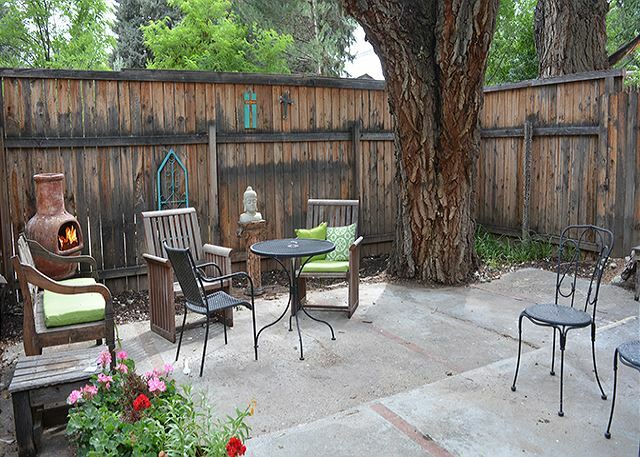 Two outdoor terraces offer extensive outdoor getaway quiet space for reading, relaxing, visiting or just plain alone time. 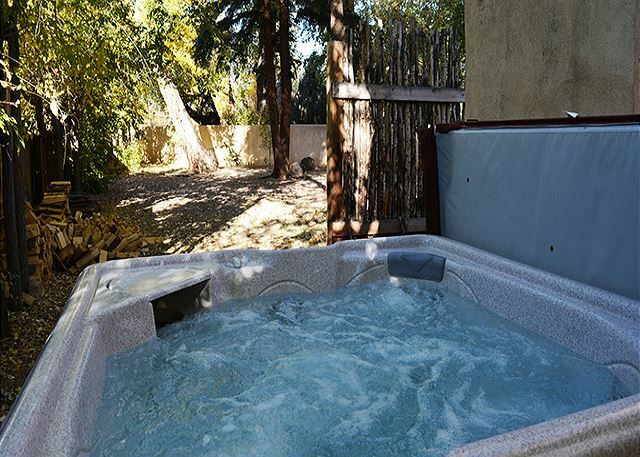 A 4 person hot tub is located outside on the north-facing terrace in a private wooded setting. 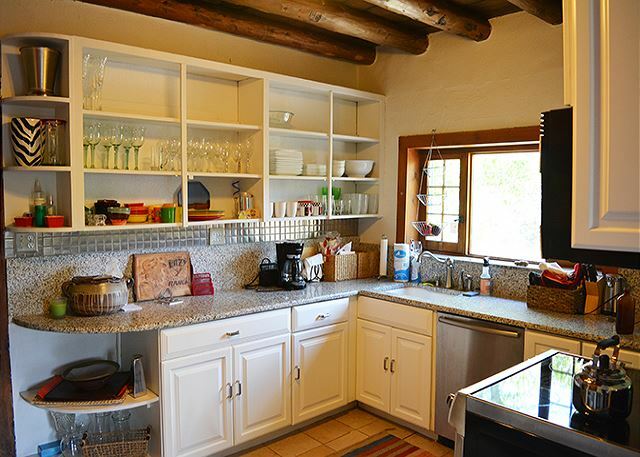 The well equipped, newly remodled kitchen opens to a large south west facing terrace equipped with gas grill, lounge chairs and patio table. 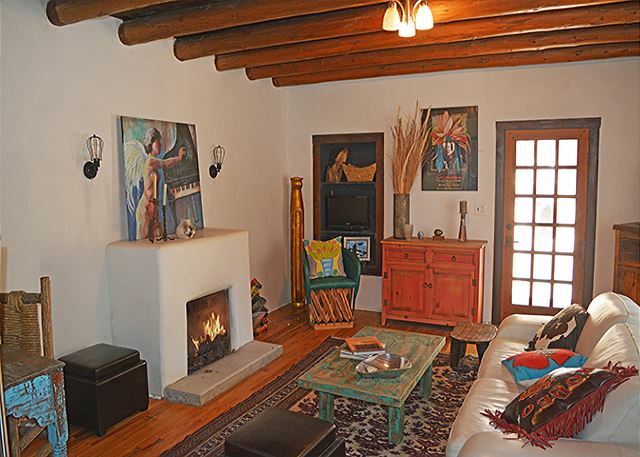 The living / dining areas share an open floor plan and are quietly heated by the cast iron gas log Potbelly stove offering efficiency and added charm to the original authentic adobe home. 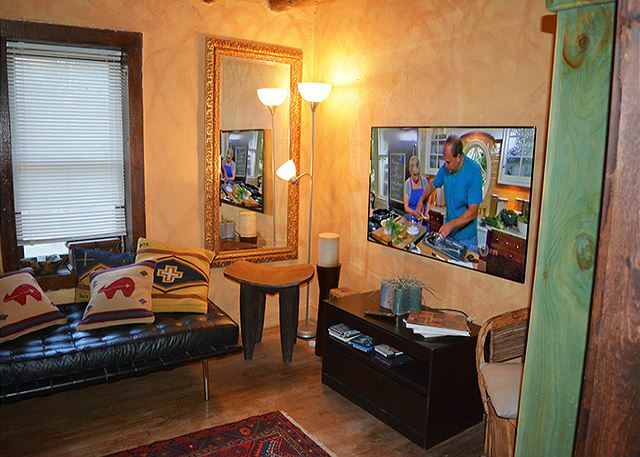 Off the dining room is a cozy den with a large HD cable equipped TV which has ample seating for four. 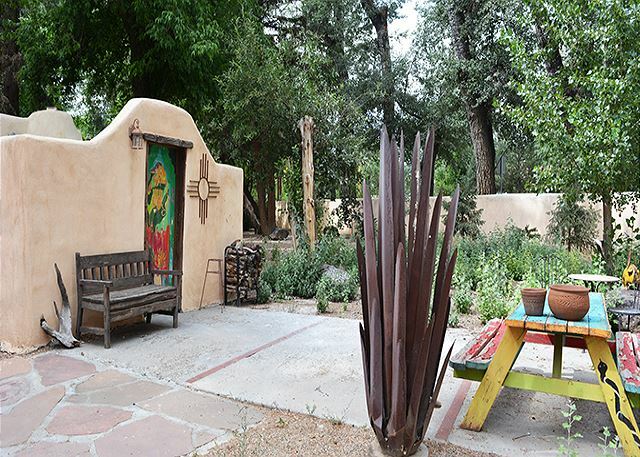 “History buffs” may enjoy reading the book, “Edge of Taos Desert” by Mable Dodge Lujan (an historic Taos resident) to get a history of the Cottonwood trees lining Kit Carson Road and filling the extra large yard at Agave Azul. The house Tony Lujan built for Mable is famous and is a couple streets due north of Agave Azul about ¼ of a mile. 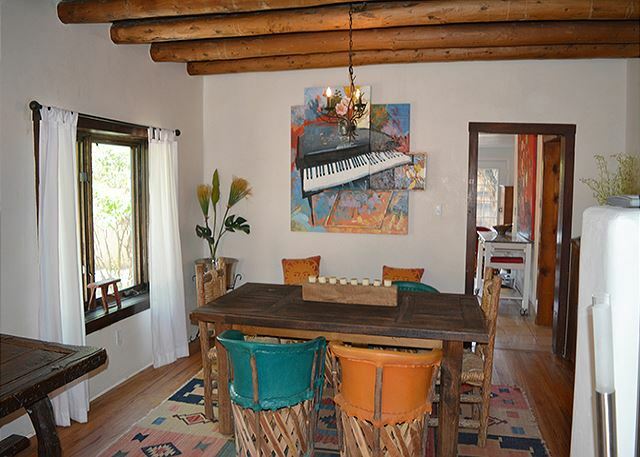 It is a fascinating story about how Taos came to be a meca for fine art. 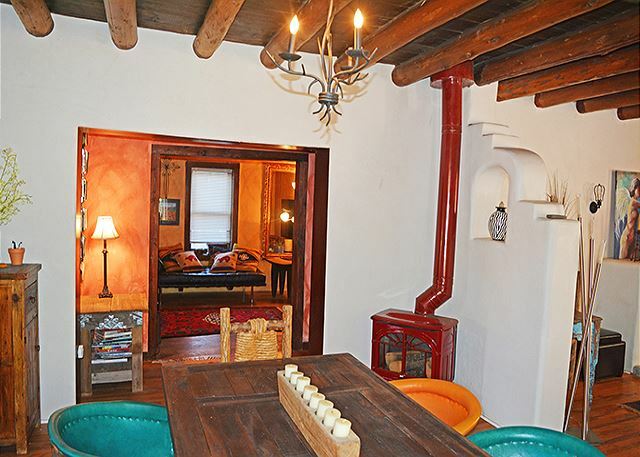 Stay at “Agave Azul” and know that you have stayed at one of Taos, New Mexico’s original authentic adobe home treasures outside of the original Taos Pueblo Native American adobe community…. An experience to cherish for ever. Agave Azul – English translation – A spiney sharp edged purple/blue desert plant. 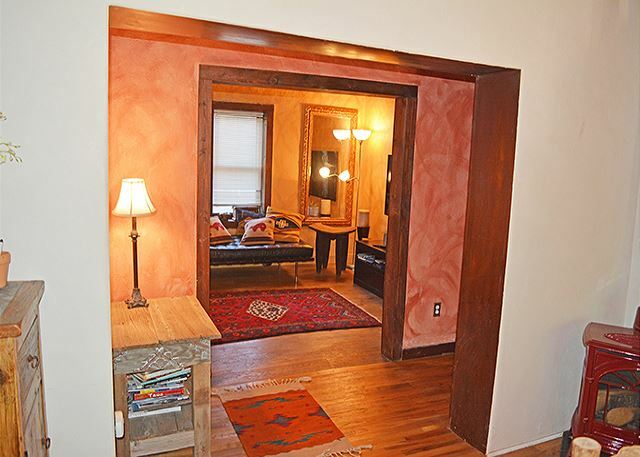 Thus named after the large metal sculpture in the yard.